Mess or Memories? Develop their Creativity or Stinkin’ Thinkin’ ! A young child is happily painting. Creating a beautiful, majestic work of art. Every color is exquisite. Every stroke is perfectly placed. There is no greater joy in childhood than seeing their work of art when this creativity is unleashed, uninhibited, and fully executed. It is beautiful…. and it is good. Horrified, terrified, and sobbing, the child runs away to their room. 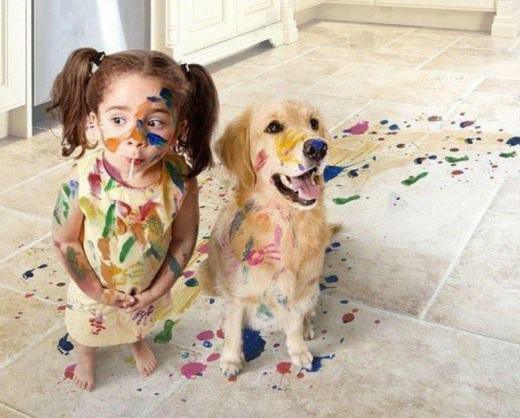 The child learned, very quickly, his/her creativity is messy and ruins things. Because the mother was so upset, the child believes they should never express their creativity again because it is so upsetting. They made an immediate agreement within to silence their creativity. Sound familiar? It should. 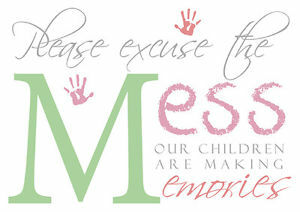 For most of us, we were either the receiver of such a message as a child OR we sent the message to a child. Yes, I know… cleaning up the after affects of such creativity is work and certainly not fun. Yet, cleaning up the walls and replacing cosmetics are a distant second to restoring the wounded spirit of the child. Yet, which one do you suppose gets the most attention? The mess you can see or the spirit you cannot? Because of an incident like the one described, the child grows up suppressing their creativity. Maybe another child was singing at the top of their lungs while Dad was driving the car. When Dad has had enough he shouts at the child to “shut up already… you don’t even know the right words!”. Something that simple can cause the child to suppress their singing. More importantly, they may also begin to wonder what other parts of their personality are not acceptable to others. If it’s not accepted by their own parents then…. WOW… now what? THAT’s how Stinkin’ Thinkin’ starts. In childhood! Parents don’t purposely stifle their children’s creativity nor do they realize how their words can be so harmful or cause long term damage. Most often, they are just expressing their own frustration or anger or any other emotion. One day, when my twin boys were young toddlers, they became way too quiet in the bedroom. I sneaked up the stairs and listened. They were busy doing something and then giggling. Ever so quietly I sneaked and when I saw them I nearly cried! They had opened the door to the attic and found the stacks of 500 and 1000 piece puzzles. Twelve puzzle boxes were strewn all over the floor but the puzzle pieces were in a HUGE pile in the center of their room. They dumped each box of puzzle pieces in the pile and tossed the box aside. They played in the pile of pieces like it was a pile of leaves on the lawn. They were so happy! I was tired! With four boys, (2 toddlers, 1 teen and 1 tween) I was not at all interested in cleaning up 12 boxes of puzzle pieces! I just sat there, and in my misery, I started to cry. Soon, though, their giggles brought me back to reality. They were so happy. I slowly rounded the corner from the stairs and laid in the doorway. When they saw me they were even happier! “Look Mommy,” as Britt grabbed up two handfuls of pieces and threw them up and then danced underneath the falling pieces. Puzzle pieces were EVERYWHERE! I asked them… “So…. what are we doing here?” Britt exclaimed, “It’s a fire!” He grabbed more handfuls of pieces and up into the air they went. Cody ran back into the attic to get the last box and before I could say a word, another 500 pieces landed in the puzzle-piece-fire. I wasn’t sure exactly what to do. So… I said, “Interesting…” I then decided to distract them and totally avoid the clean up until later. No yelling. No punishment. I really didn’t know what to do. When Daddy came home, I suggested the twins show Daddy what they had created today. They couldn’t have been happier to show him! They bounded up those stairs and started the tossing frenzy again. Daddy looked at me with a questioning look… as if to say… you let them do this? I signed and shook my head. For the record, did have the boys help us separate the pieces into several piles based on the color of the back of the pieces. Then, the parents took on the task of getting every single puzzle piece back into the proper box. Yep. We rebuilt every puzzle to make sure each box was correct. Every box was then sealed with tape and ALL the boxes were sold in the next garage sale! Imagine if we had handled the situation differently. What if I had yelled at them for the mess and belittled them because of the work they created for me and their Daddy? What if…?? What stinkin’ thinkin’ could have resulted. We will never know. But I know for sure… children will respond to the messages we send them. They will close up for self protection. OR they will blossom when supported. Do you remember a situation where you wish your parents had supported you? Do you remember an event that initiated your stinkin’ thinkin’ about yourself? Have a story about something your children did and how you handled it? Please share here.